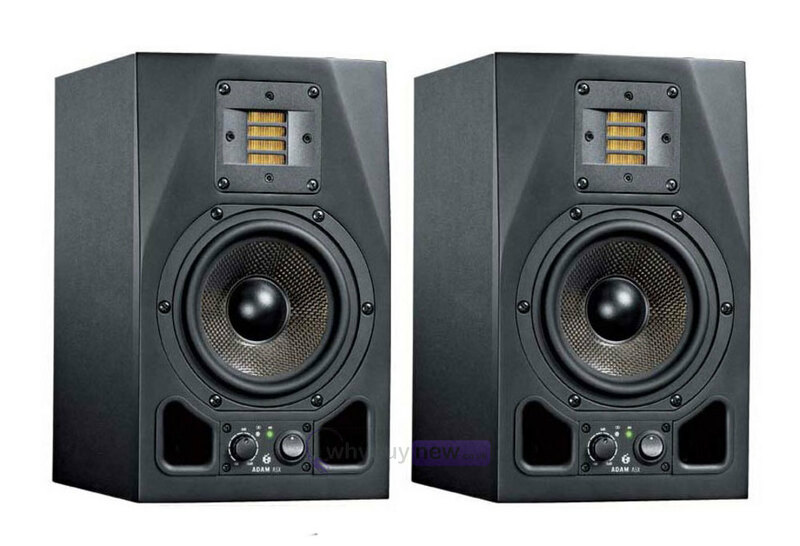 Adam Audio A5X are compact studio reference monitors suitable for a number of professional monitoring applications. 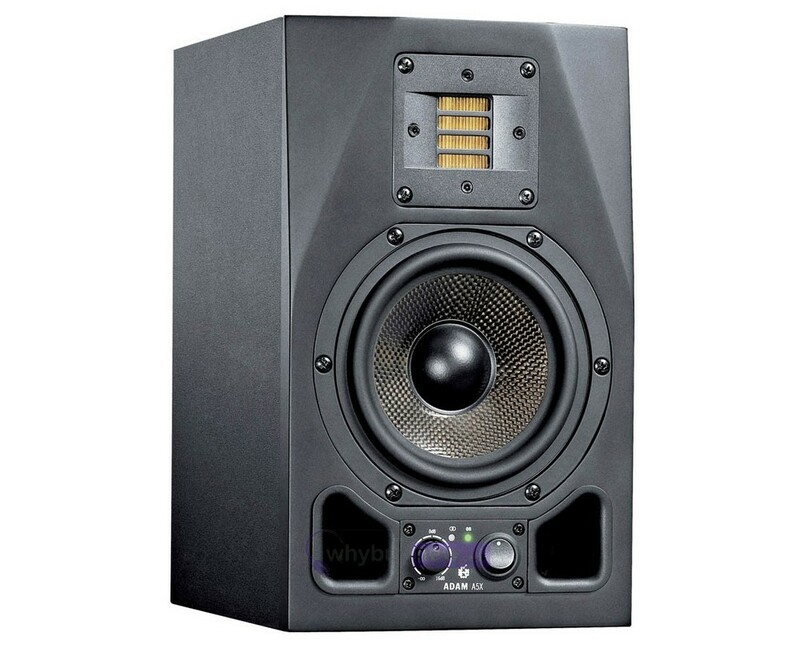 Perfect for compact or home studios, multimedia or desktop applications, the A5X have notably received a wave of positive reviews billing them as one of the leading small monitors. A5X is the sucessor to the popular A5 model but the changes extend far deeper than just a facelift and name change. The proof, however, comes the first time you power them up and have a listen. Like the rest of the AX-series, the high-end frequencies in the A5X features are handled by Adam Audios own X-ART tweeter. The intelligent design and construction of these tweeters allows the A5X to accurately reproduce frequencies right upto 50kHZ. Frequencies below 2.5kHZ (and right down to 50Hz) are handled by a tough and responsive 5.5" Midwoofer. The diaphragm is made from Carbon fiber/Rohacell/Glass fiber, which is the same composite structure shared in the next two bigger models. This material with minimum weight and maximum rigidity prevents break up resonances, resulting in an outstanding dynamic behaviour and impeccable sound characteristics. AX5 monitors feature "Stereolink" whereby a pair of additional RCA connections allow for a bypass of the second stereo channel to the other speaker. Stereolink allows two A5X speakers to be connected in such a way as to allow the user the option to control the overall stereo volume of the system from either speakers gain control. This makes the A5X a natural for "mixer-less" desktop applications where overall system volume needs to be adjusted easily. The front of the A5X sports dual ports for surprisingly low frequency response down to 50Hz. The front panel also has power and gain controls. The rear panel includes a tweeter gain control as well as balanced (XLR) jacks and unbalanced (RCA) jacks, allowing for greater connection flexibility. There are also two M6 (6 mm) metric screw threads for stand/wall mounting. 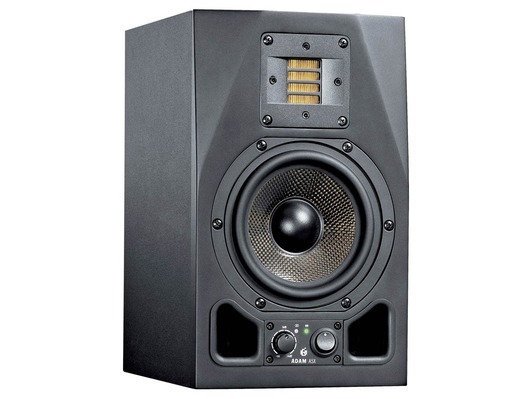 Here we have the Adam Audio A5X Active Studio Monitor in brand new and in B-Stock. The B-Stock versions would have been on display at a training evening or trade exhibition only and will come boxed 'as new' with all accessories and a 1-year warranty. 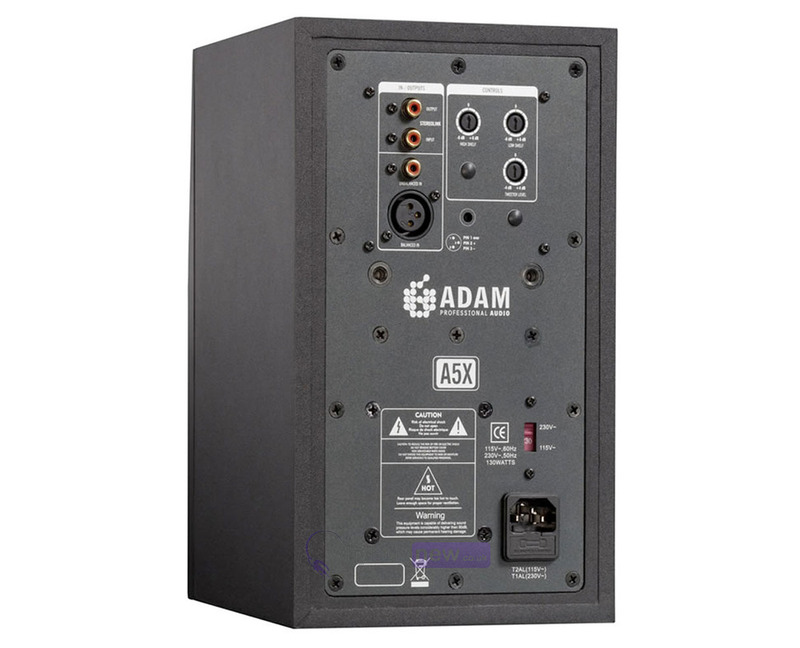 Buy this amazing Adam Audio A5X Active Studio Monitor with confidence with 100% satisfaction guaranteed or your money back.